SoundBrut is a new company based out of Sweden founded by Hazar Mutgan and Özüm İtez. They’re in the band Hayvanlar Alemi. They recently sent me a the DrVa Overdrive/Clean Boost to check out. I absolutely love these opportunities to learn about new business and get a chance to play what they come up with. And I was really excited to try out the SoundBrut DrVa. So the DrVa is a combination of a clean boost and overdrive circuits in the single enclosure. The Dr side (left side) is a hard clipping circuit using a NE5534 OpAmp.This is a very simple drive, but sounds incredible. Simple controls – Volume and Gain. The Va side (right side) is a MOSFET boost with a Varitone circuit (seen in old Gibson ES-345 guitars). You can learn more about the Varitone with the ES-345 here. The Varitone is controlled via 6 way selector (little different than a traditional pot) and that selector manages a variety of capacitors giving you multiple EQ filters. Controls also include Boost and 3 way Q selector. Both the Dr and Va have footswitches to turn the each off or to have them both on. I absolutely love drives like this. The Dr side can get mean and nasty. I like the simplicity of it. I tried this on guitar, bass and bass VI and the best way to describe it.. it growls. I wasn’t expecting much from the Va side, and that was the surprise for me. The Varitone circuit was pretty magical. Especially, how it interacted with the MOSFET overdrive. It almost was a like activating a ‘presence knob’ on a amp but for that MOSFET circuit. I feel there could be a lot of experimentation with other pedals behind this and how to make it interact with the frontend of the tube amp. It sounds great on guitar, but I absolutely was hooked on the tone with bass and bass VI. It’s the growl, but also the punchy growl you can get from it. I highly recommend this guy if you’re looking for a good boost/drive pedal – that is a little different than the norm. 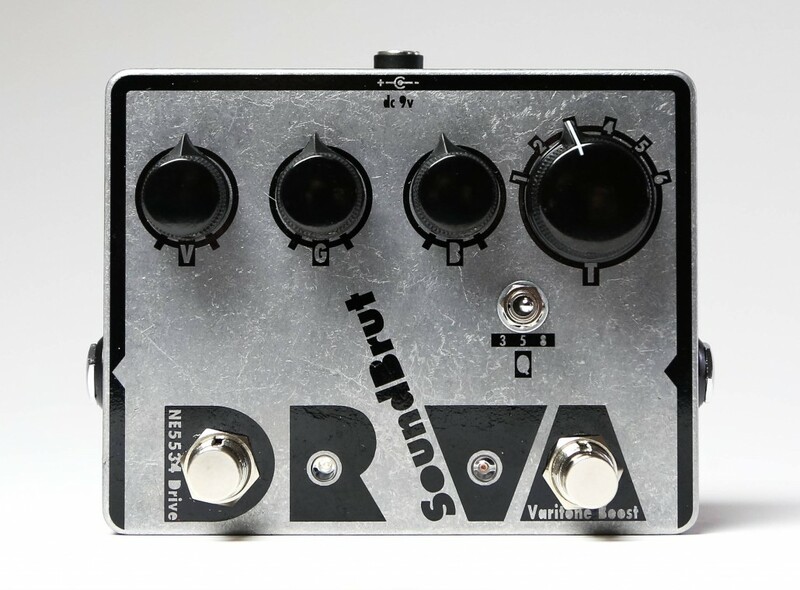 You can purchase the SoundBrut DrVa Overdrive/Varitone Boost for $165.83 directly from their Reverb.com store. What’s the best distortion / overdrive pedal available today?